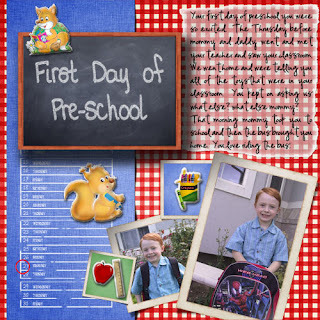 Brad started Pre-School on August 27th. He was so excited. I dropped him off at the school and was fine. His teacher greeted him and asked if he wanted to hang up his back pack and then showed him some toys to play with and he was fine. I don’t even know if he saw me leave. He rode the bus home and just loves it. He looks forward to riding the bus every day. Protected: Princess and Transformers Oh my! !